Detoured but determined to deliver. Despite having to relocate venue locations in a matter of days, Friday's Gateway Fighting Series: Inferno carried thru its mission. The pro/am MMA event was held at the visually-unique Lamborghini Gold Coast Athletic Centre in St. Charles. In the main event, Lucas Clay faced a last-minute opponent in Aaron Mitchell. Clay, a talented welterweight, remained undefeated even with an uneven performance. Both fighters' unorthodox approaches made for a choppy flow to the fight but in the end, Clay was too technical on the feet and ground and remained undefeated at 2-0 with a unanimous decision victory. Charles Johnson is a lot to handle. Johnson improved to 4-0 with a unanimous decision over Michael Graves. With dogged determination, Graves went after the takedown on Johnson for all three rounds. 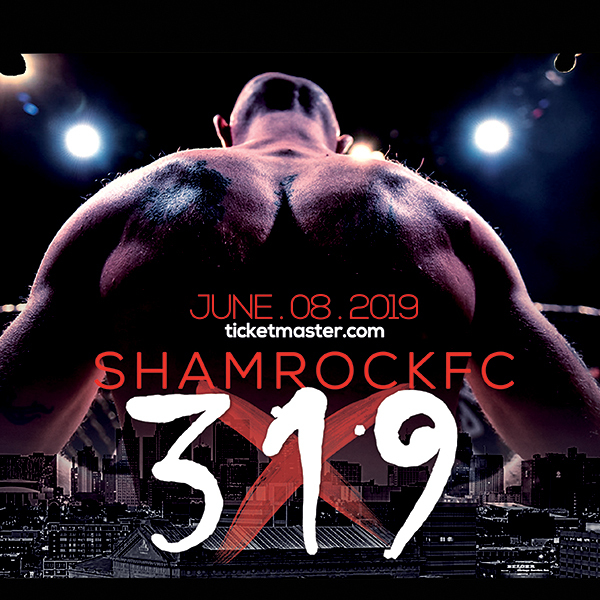 In a bout that had plenty of scrambles, reverses and position changes, Johnson, out of St. Charles MMA, calmly stayed in control throughout, throwing whipping hammerfists and searching out submission attempts throughout. Steven Coleman had his offense in high gear. Making his pro debut, Coleman – out of the Academy of Courage – got in nearly three full rounds of work against a tough Ray Allard before getting an armbar finish at the 3:32 mark of the third round. Coleman put together a blistering first round with knees and elbows aplenty and once the fight hit the floor, Coleman hunted after a submission. Coleman continued to rough Allard up in the second round, doing the bulk of his damage from mount. GFS had four amateur title belts up for grabs. Tra'von Butler retained his light heavyweight championship with a lopsided TKO over Dalton Knight in the second round. It was all Butler who connected with a monstrous kick to the head to send Knight onto the canvas and forced referee Mike England to call off the bout. Two of the premier amateurs in the region went at it at middleweight. 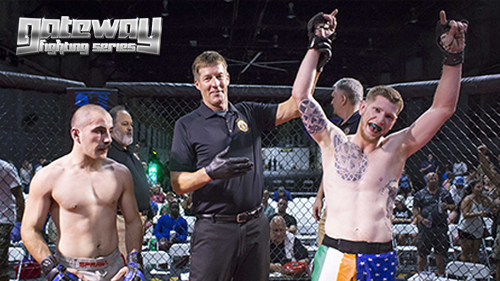 Jeremiah Curtright - fresh off a runner-up performance at the UMMAF National tournament – faced Kevin Roper in one the better amateur bouts of the year so far. In the first round, Curtright landed a tremendous uppercut that nearly floored Roper but the Wolves Den product recovered and dumped Curtright on his back. Roper remained in top control for the better part of the round and he mixed in solid punches from up top. Roper poured in on from the word 'go' in the second round and nearly got the finish at one point. Meanwhile, Curtright could never consistently get his offense going as Roper suffocated with pressure. In the third it looked like Curtright was going to rally when an upkick connected, hurting Roper who started to back up. The 29-28 decision victory gave the 23-year-old Roper the GFS middleweight title. Arnold BJJ's Brandon Breault scored an impressive KO of Tyler Roussin to win the GFS welterweight K1 title. Despite an early low blow that paused the action Breault was relentless with his offense, chasing Roussin around the cage before the ref finally waived off action. For the GFS Adaptive Rules Championship, Garrett Holeve earned a first round submission over David Steffan when Steffan shot in for a standing single leg, and Holeve latched onto his neck. In other undercard action, Chris Peterson defeated Josh Boyer by second round TKO in a wild fight, Boyer tried to bring things to the ground, but Peterson was able to escape Boyer's guard where he worked the ground and pound. Boyer landed awkwardly on his elbow when Peterson tried to slam his way free, and seemed to favor it through out the remainder of the fight. A second slam forced Boyer to turtle and Peterson finished with a TKO. Ryan Dascenzo vs. Arvin Mills was ruled a no-contest due to an accidental elbow that cut Mills wide open forcing fight doctor Melvin Maclin to waive off the fight. 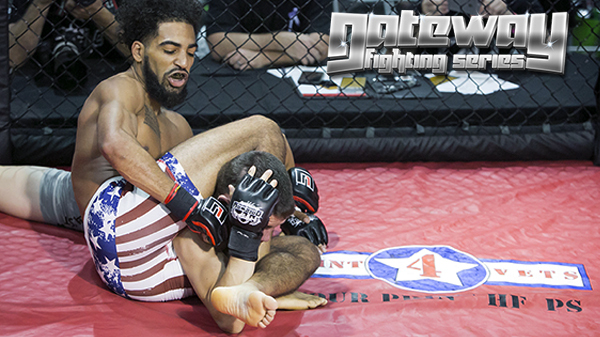 In K1 action, Alejandro Socorro from Watson Martial Arts won a split decision over AJ Graham. Colette Gille won by TKO over Kira Franke and Rodney Cotton kicked off the card with a unanimous decision win over Kyle Ondo that featured a bloody third round.